For Your Best Day…After Your Best Night! A hangover can completely ruin your day, and until recently, you didn’t have many options when it came to dealing with the symptoms; crawl back into bed, administer some “hair of the dog”, or live with the pain and continue with your day. We offer an alternative: Relieve your hangover within 15 to 20 minutes with a single dose of La Rapidita. La Rapidita uses a unique blend of ingredients – including caffeine and vitamin B1 – to alleviate a number of hangover symptoms that decrease your performance and well-being. 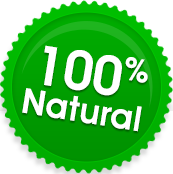 The formula acts faster and more effectively than other hangover cures because it provides relief naturally without taxing the normal capabilities of your body, and without irritating your stomach (it does not contain Aspirin, Ibuprofen or Acetaminophen, but only 100% natural analgesics). Hangovers are caused by a number of factors which can disrupt normal bodily functions, such as the production and regulation of essential hormones, acids and enzymes. The unique formula in La Rapidita alleviates your hangover symptoms by kick-starting the functions that are affected by alcohol consumption. Each dose contains a full array of remedies that work in conjunction to get you back on your feet faster than any other hangover remedy on the market. Order La Rapidita now to experience your best day…after your best night!